You'll want to include Ranged, Cavalry and Infantry ATK Jewels in every war equipment you own, the fourth slot, unlocks at Workshop Level 25, will include either Ranged/ Cavalry/ Infantry DEF Jewels based on which phalanx/wedge you use most. You do not inlay any jewels before they are at least blue. 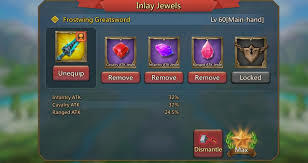 Once all your equipment contain blue jewels, and you are able to craft purple jewels for the respective stats, remove the blue jewel using gems and inlay the purple jewel. That means you need three blue jewels beforehand. The reason you start inlaying blue jewels first is because it takes a very, very long time to get purple jewels unless you are very lucky. 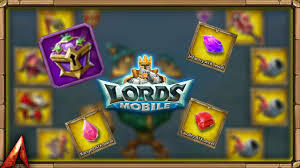 Think of blue jewels as an investment, a Lords Mobile info site states. The workshop has so-called 'Accessory slots' that lets us customize our equipments, where each has its type of dress for troops. A more specialised Event Equipment has 'Grade' and Sets of cool troop items such as a Champion Set, Hardrox Set, Hunter Set and many more. 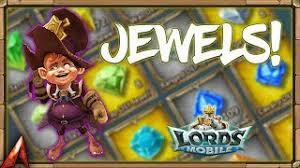 The cabinet in the Workshop allows us to manage Equipments, Jewel Fusion, Sigil Fusion, and Material Fusion. We can select the filter Equipment Type on the Cabinet for easy search. 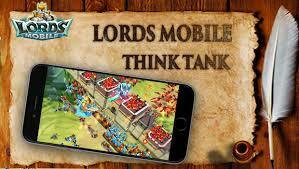 Dear Lords and Ladies, you can share about your swag and style, in the comment section below. If you guys want to share, feel no stranger, and you can also take a peek into Youtube videos. I personally recommend you one. I've given the link from a girl gamer, once again thanks a lot for reading this story and lastly don't forget to upgrade your Workshop!